Sponsored by FHC Training Ltd. | Norwich City A.B.C. 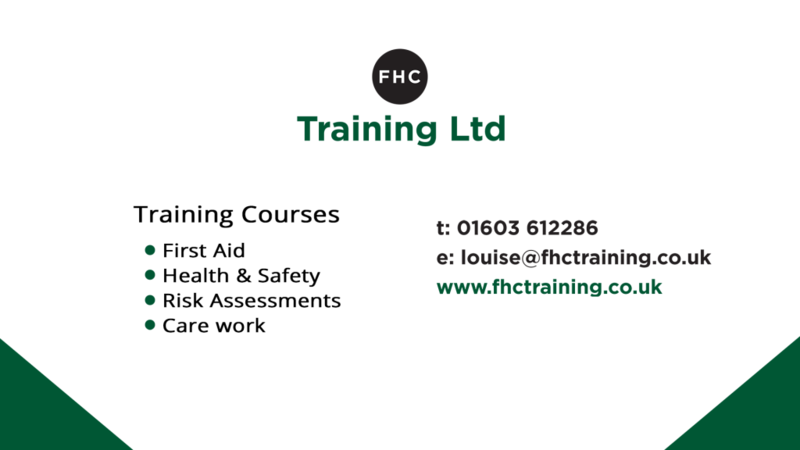 We are proud to introduce to you our first sponsor FHC Training Ltd. who offer a variety of training courses in the Norwich and Norfolk area including First Aid and Health & Safety courses. For further information please call 01603 612286 or visit FHC Training. No Replies to "Sponsored by FHC Training Ltd."